Privacy fences must serve multiple purposes. To be effective, they should improve the home’s security, contribute positively to the aesthetics of the property, and of course, give the family some much-needed privacy in the yard or pool. One common misconception about privacy fences is that they must always be made of solid wood panels. But in fact, ornamental wrought iron fences and chain link fences offer more room for creativity. Consider the following factors when planning your home improvement project. Match the style of the fence to the style of your home. The outdoor living space should flow seamlessly into the indoor living space. After all, if your home is built in a classic Victorian style, then you probably wouldn’t want to use Tudor-style trim, right? Walk out to the edge of your yard and spend some time looking at your home. Reflect on the textures, colors, and ornamental details, and keep this information in mind when you choose a privacy fence. Choose the right fence height. Next, consider the boundaries for your new privacy fence. Do you want to encase your entire plot, or do you just want to fence in the pool or backyard? Where your fence will be located will influence its ideal height. Generally, taller fences work well when they are extended around much of the property. If you’re just fencing in a backyard water feature, then building a tall fence around it might seem overwhelming when you’re sitting in the hot tub. Select unique touches for your privacy fence. Homeowners often don’t consider chain link or ornamental iron fences ideal for privacy because the other side of the fence is visible through it. But this actually allows you to put your own unique touch on the fence. One aesthetically pleasing option is to roll out bamboo reed mats along the fence. These mats are visually tasteful, and they offer a privacy screen. A longer-lasting option is a mesh wind screen. Fence screens are wind- and water-permeable, and they offer privacy. A-1 Fence Inc. is a premier provider of high-quality ornamental iron and chain link fences for homeowners in San Jose. 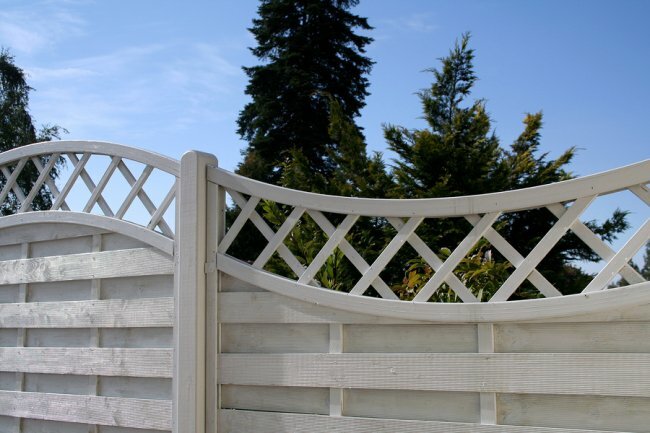 Check out our online gallery of fence designs to get inspired for your home improvement project. Then, give us a call at (408) 259-2955 to get started. Whether you live in a neighborhood or off the beaten path, a fence will ensure that your property is private and protected. 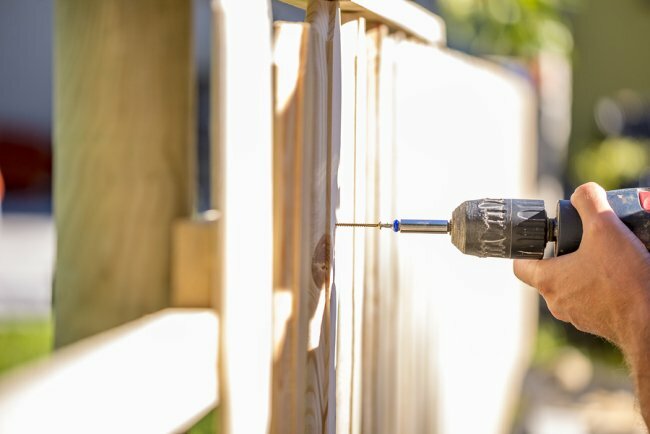 When you work with a company offering fencing in San Jose , you may want to ask your contractor about your options for installing a privacy fence. With a cast iron or wrought iron fence that has been designed for privacy, you can rest assured that your backyard and home are shielded from the outside. To help you get started on your fence project, here is an overview of the steps of installing a privacy fence. The first step of installing a privacy fence is to plan out the placement of your fence around your property. If your yard already has a fence, you may want to use your existing fence as a guide. Otherwise, you can have your fence contractor conduct a survey of your property line boundary. Before you plan out your fence placement, it is also a good idea to see if your city or county has any regulations regarding set-back or height. After you have decided the proper placement of your new privacy fence, you will be ready to start shopping for your fence materials. Privacy fences can be constructed from a variety of materials, including wood, chain link, and wrought iron. When you are selecting your privacy fence materials, you should be sure to consider factors such as durability and aesthetic appeal. The final step of preparing for a privacy fence installation is to decide upon the height of your new fence. Typically, a privacy fence is tall enough to block any views of your home or property from the outside. For this reason, you may want to make your privacy fence six feet high or even taller. With the help of a reputable fence contractor near you, you will be able to create the perfect privacy fence for your yard. Fencing is the most effective way to secure your property. Whether you live in a residential neighborhood, or further out of town, a fence can provide you with total privacy and peace of mind when you are at home. When you are considering fence designs with a company offering ironworks in San Jose , you may want to talk to your fence contractor about building a new privacy fence. With a fence that is specifically designed to enhance your privacy, you will be able to create a peaceful oasis in your backyard. To help you get started on your fencing installation, here is a look at some tips for designing a new privacy fence. When you are designing a privacy fence, it is essential to make sure that your new fence has been built to last. 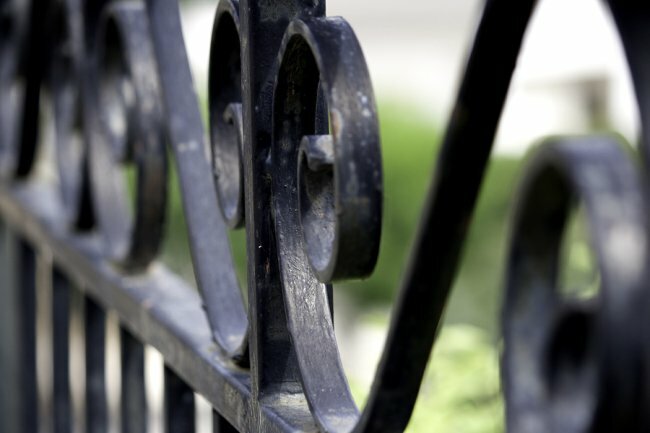 As you are shopping for fencing materials, you may want to consider using highly durable products, such as metal and wrought iron. With a brand new metal fence, you can feel great knowing that your privacy fence will withstand wind and weather. Ultimately, your privacy fence should serve as a seamless extension of your home and surrounding property. When you are planning a new privacy fence installation, it is a great idea to choose a style of fence that matches with the architecture of your home. For example, if your home has been built in a modern style, you may want to create a privacy fence that features sleek and contemporary lines.